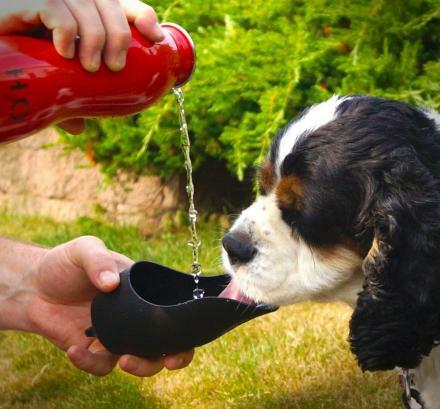 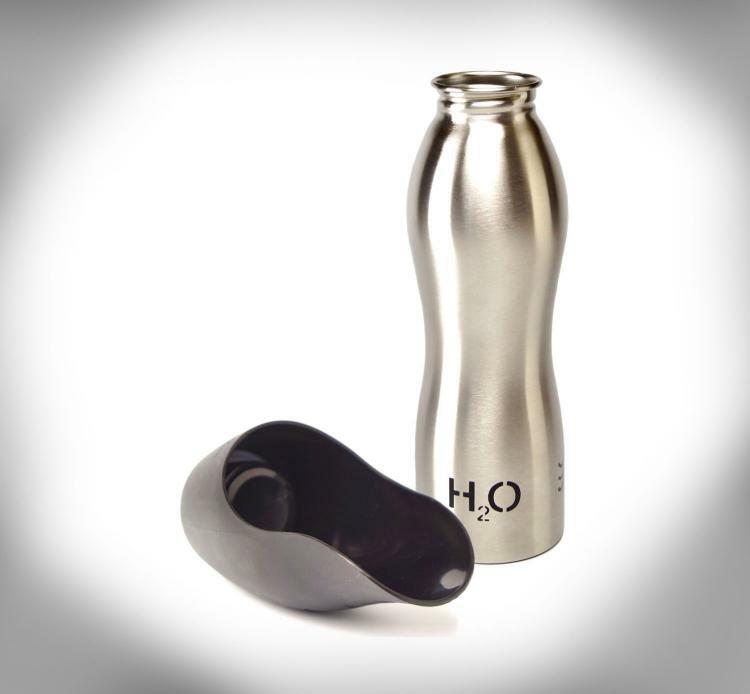 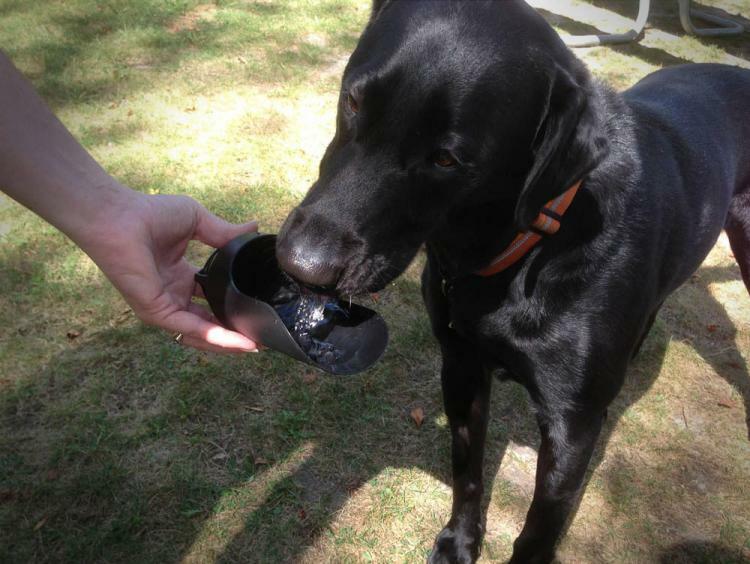 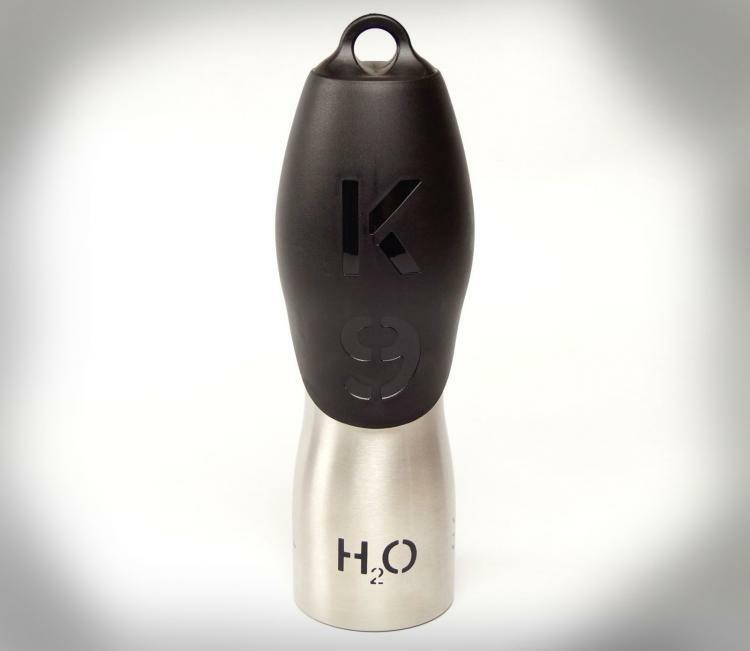 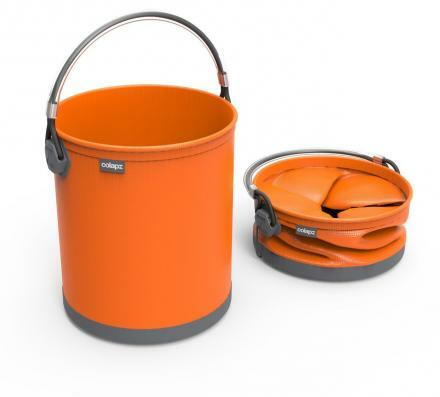 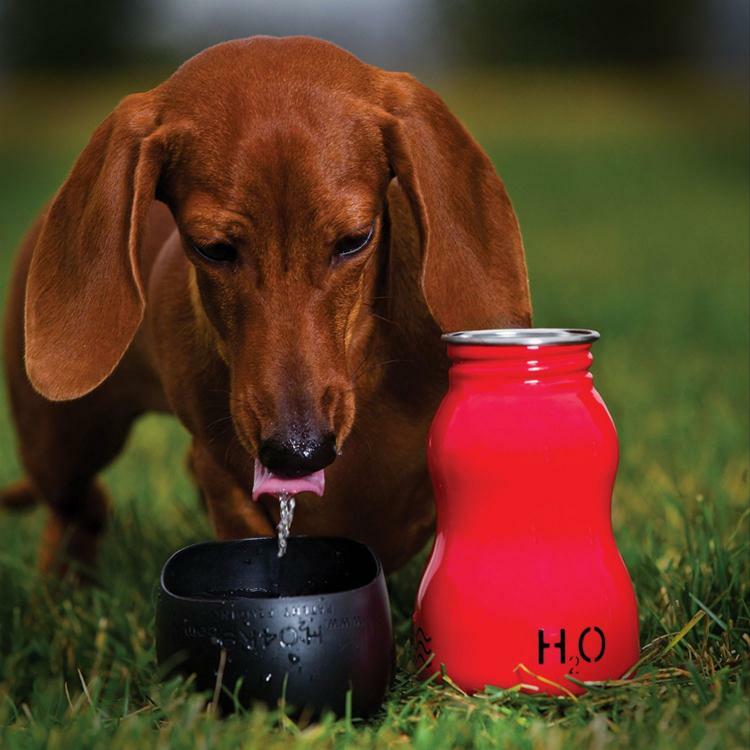 The H204K9 is a travel water bottle for dogs where the cap is actually a bowl that you can use to pour water into and have your dog lap up the liquid goodness on a hot summer day at the park. 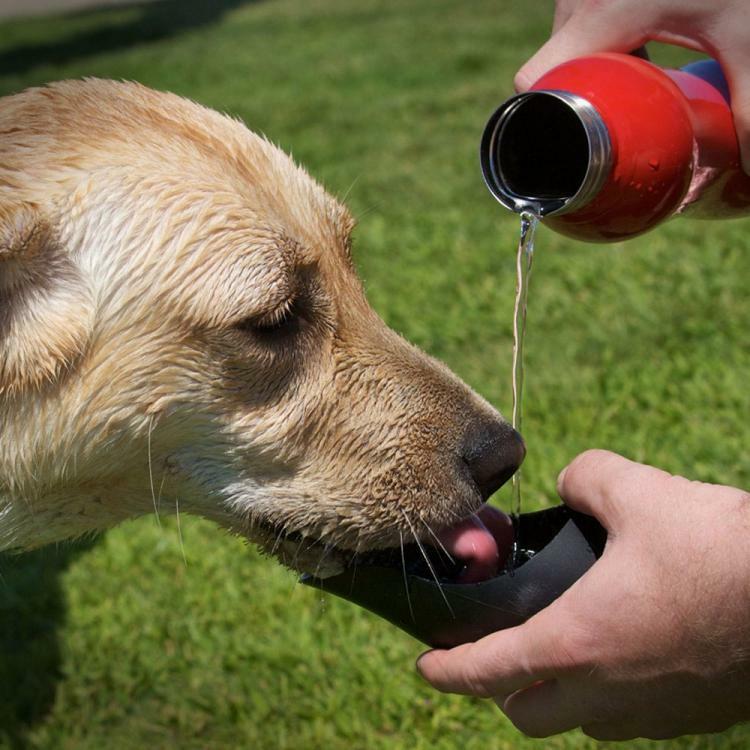 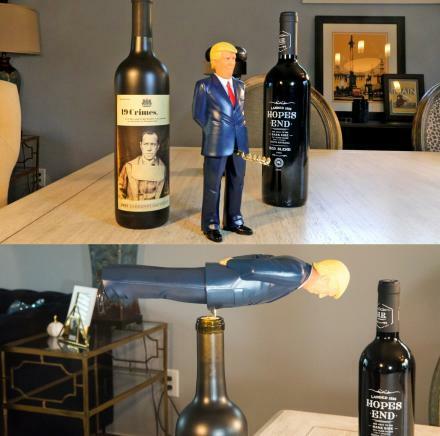 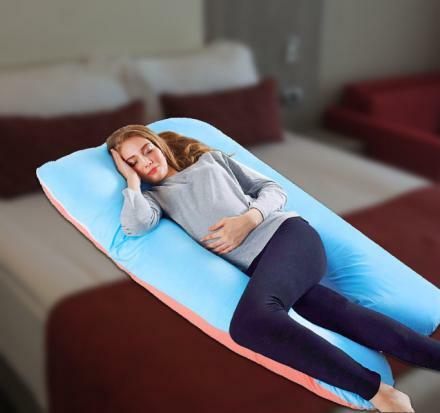 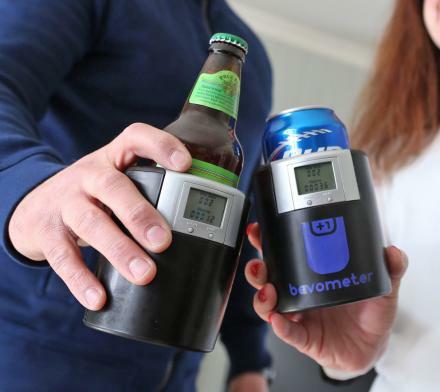 Perfect for dogs, cats, gerbils, or drunk humans, the travel water bottle for dogs can even be used as a normal water bottle for you as well, just pour some water in your the cap for your dog and take a sip straight from the bottle for yourself. 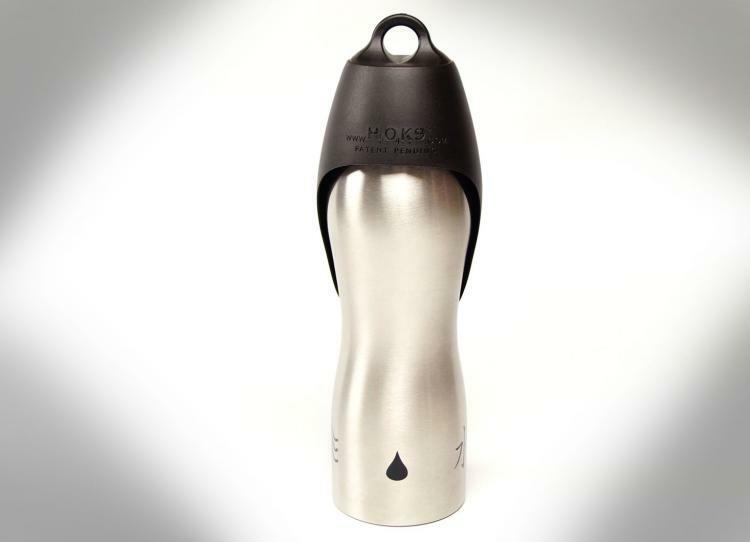 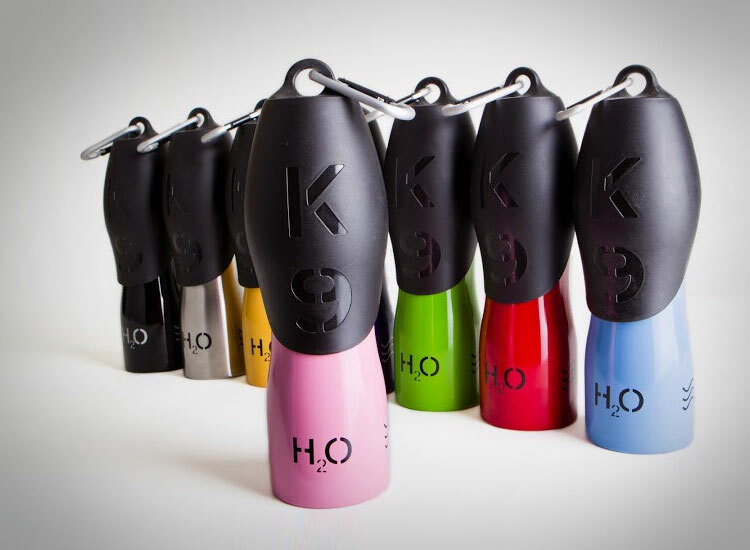 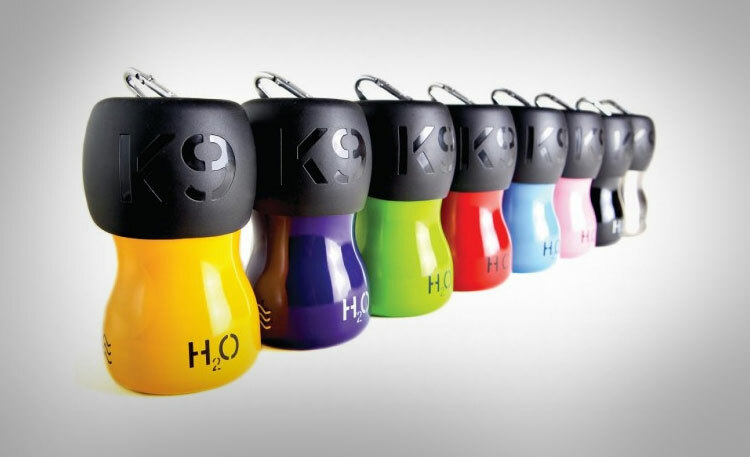 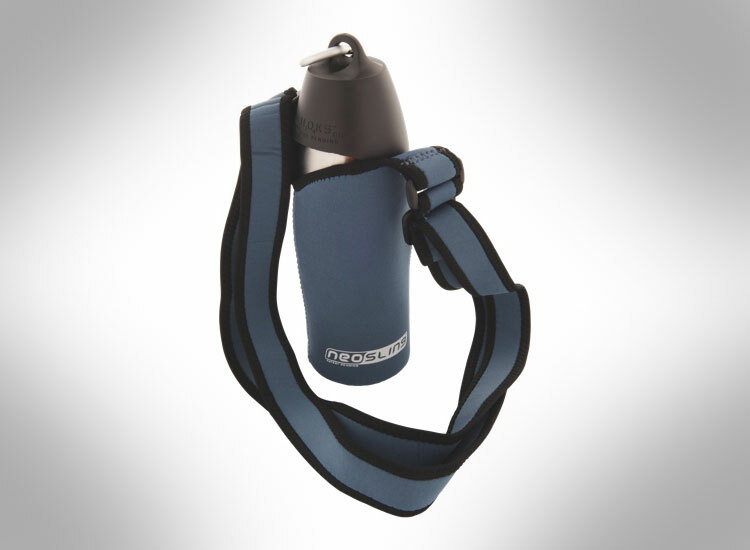 The H204K9 travel water bottle is made from a food grade stainless steel with the cap from a BPA free plastic, comes in a smaller 9.5oz size or a larger 26oz size in case you have an English Mastiff, it comes in a plethora of different colors to choose from, and even has an option to get a carrying case sling to easily carry it around over your shoulder, on your belt, or on baby stroller. 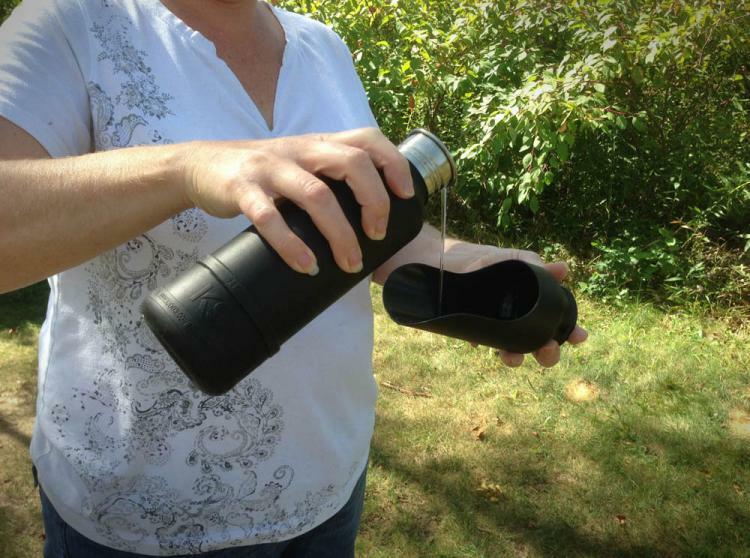 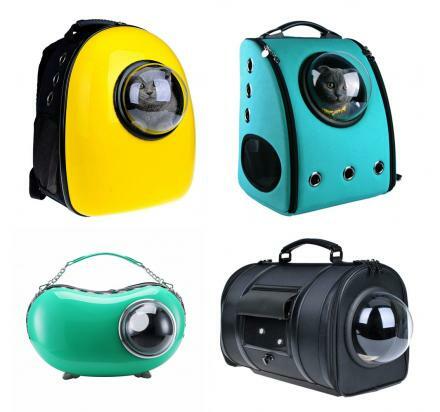 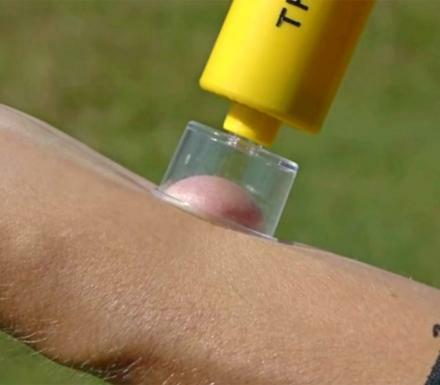 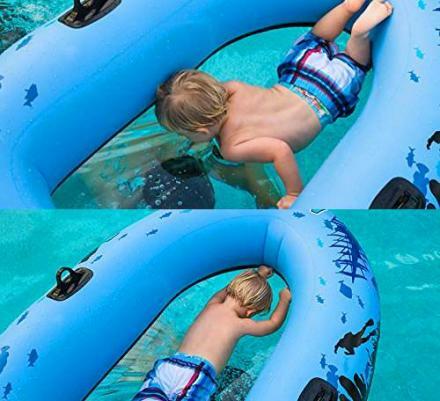 Check out the travel water bottle for dogs in action via the video below.